If you've had milia, you likely wondered if they were some kind of pimple. While many people mistake the tiny, pearl-like bumps for acne, they are not the same thing. One of the easiest ways to identify milia bumps are by how they feel. Unlike acne, milia are rather firm, and squeezing has little to no impact on them. 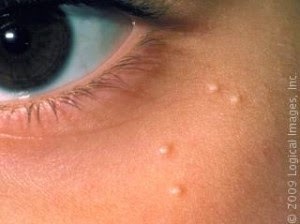 Also unlike acne, these bumps can show up around the eyes and on parts of the face where there aren't active oil glands. Milia also don't have the pain associated with acne when a pimple forms and then becomes inflamed and sore. Note: If you have yellowish bumps around your eyes and on your eyelids, they may not be true milia (which are typically translucent flesh to white). You may instead be dealing with a skin growth known as a xanthoma. These bumps are common in people who have high cholesterol or high triglyceride levels. So How Did I Get Milia, Anyway? Adults can get two forms of milia: primary and secondary. Primary is the type seen in babies, caused by skin cells that build up because they just didn't exfoliate properly. Secondary milia happens when a skin condition that leads to blistering actually damages the pore lining. Burns or severe rashes can increase the number of skin cells trapped under the skin's surface. Because milia often go away on their own without treatment, being patient and waiting it out is an option—but waiting is definitely not for everyone! 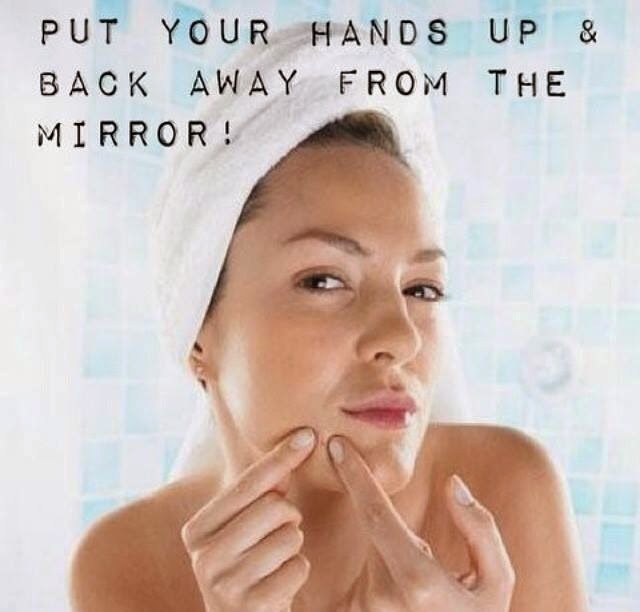 Primarily, it is critical that you not squeeze, scrape, poke, or in any other way physically try to remove the milia from your face as you would a pimple. Because milia are hard and under the skin's surface, these methods are unlikely to help. 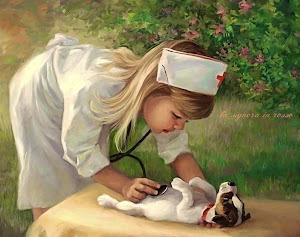 Instead, you wind up irritating and damaging the skin surrounding the cyst. Some people have even scarred themselves trying to dig out milia—and there's no question a scar will last longer than any milia bump! Of course, you also can see a skin expert, who can tell you which type of milia you have. Secondary milia might require the use of a hypodermic needle to remove the cyst, or cryotherapy. If your milia don't respond to an exfoliating treatment after several weeks, consider making an appointment with your aesthetician or dermatologist. Although not a lot can be done to prevent milia, maintaining a suitable skin-care routine certainly helps minimize the chance of them appearing. Because secondary milia can be caused by sun damage, always use a moisturizer with at least SPR 15 to protect your skin every day, and give those annoying white bumps less of a reason to set up shop on your face! Yes, milia is a real pain to put up with, but there are things you can do to treat it. Remember: Patience, daily exfoliation, sun protection, and resisting the temptation to take matters into your own hands can go a long way to having clearer, bump-free skin sooner!